A recent research survey, Email Marketing Industry Census 2012, conducted by eConsultancy and sponsored by Adestra sheds some light into how email marketing is being used and trends facing email marketing as an industry. The research was for UK based email marketers only, but the results are enlightening and can be transferred to any country, especially when it comes to best practices and ROI. Why is email still a major force in the marketer’s arsenal? According to the census, “55% of all company respondents could attribute more than 10% of their total sales to the email marketing channel, with 17% of respondents stating that email marketing attributed for over 30%”. ROI for email marketing is still there, despite many talking about the demise of email as social channels become more prominent. Problem is, email is not being used to its fullest. 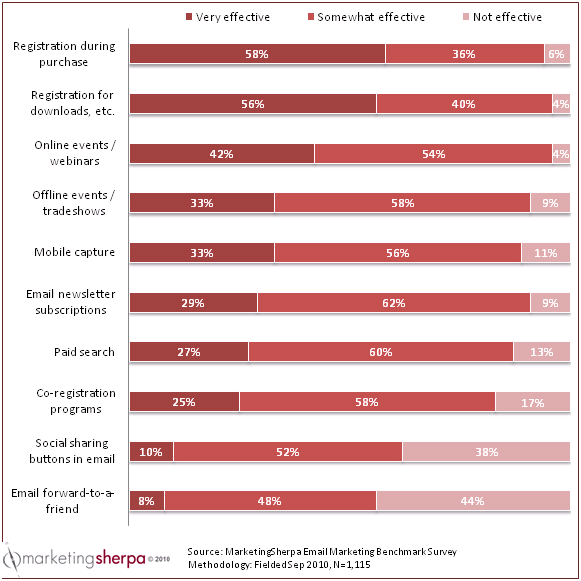 Most companies are not taking advantage of advanced email marketing features, or even basic segmentation strategies, as the survey points out. 15% are using behavioral targeting. It seems most companies have a “setup and forget” attitude when it comes to their email marketing. Once the system is configured, the templates are setup, and everything is ready to go they simply let it run without constantly refining their tactics. According to the research, only 31% of companies surveyed regularly test their email marketing campaigns. The companies that do test their email marketing campaigns report their ROI from email is excellent or good, compared to those who don’t test regularly or don’t test at all. But testing is only part of the ROI equation. Research results point to segmentation being another big factor for ROI reporting that “companies who are practicing basic segmentation are 95% more likely to rate email ROI as excellent or good compared to those who do not use even basic segmentation, nor have plans to do so”. For an in-depth analysis of each of those barriers and detailed analysis of the census results, download the email Marketing Industry Census 2012. 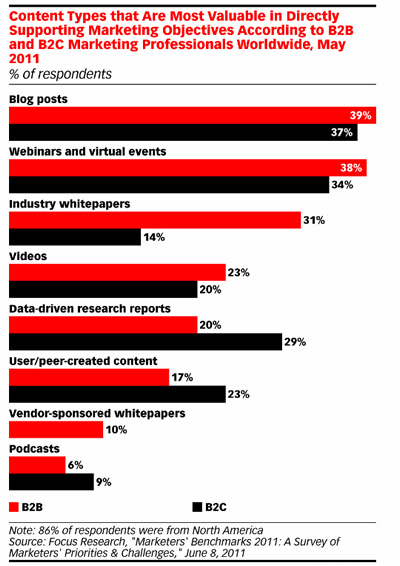 Webinars, together with virtual events were ranked top three marketing tactics to have their budgets increased in 2011. The same result was voiced by Focus Research, pointing to webinars as one of the most valuable tools for B2B marketers. 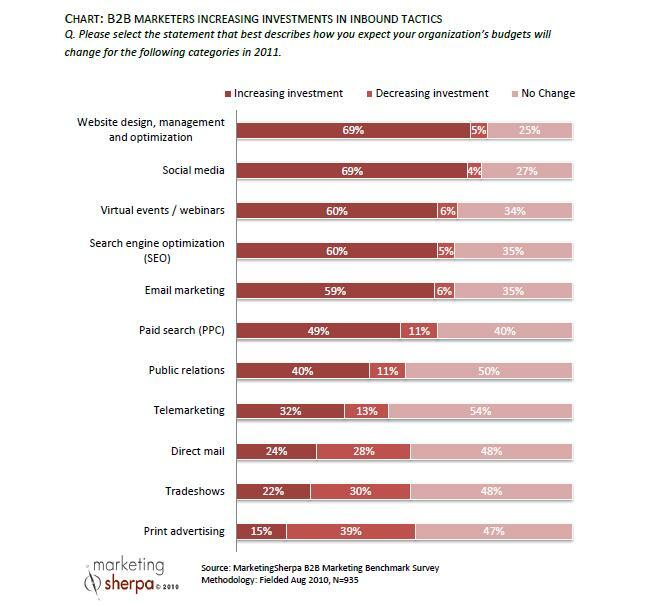 Supporting this sentiment, MarketingSherpa puts Webinars again at top three most effective lead generation tactics. And these are just a few examples. You can also host partner webinars where you host training sessions for business partners, you could do employee training webinars that talk to new employees about policies and procedures or guide them on how the company works, and you could have sales training webinars where tips are shared or new products are showcased. Webinars are a great channel to include in your content marketing plan. If you plan on creating a eBook or Whitepaper, a webinar is a great way to promote the highlights of what the whitepaper or eBook is about. New product coming out? Get a webinar in addition to the typical press release. Going to a trade show? Host a webinar the week prior to the show and give tips on how to make the most out of the show. Just came from a trade show? Host a webinar to share all the great stuff you learned during the show. The longer webinars (more than 30 mins) can later be chopped down into easily digestible segments and posted on your Youtube channel. For the product demo webinars, you can also select specific segments of the recording and place them throughout the website to give emphasis to certain features of the product. Customer testimonial webinars are great to include in your website and you can select key moments of a series of testimonials and stitch them together and publish as a Testimonial Reel. Not all webinars are created the same, but each type can enhance your content plan and provide one more channel for your customers, prospects, partners, and even employees. Note: This is a guest post by Brad Shorr. See his bio at the end. My career in content marketing started at age 12. Every day I’d load up my red Schwinn Varsity bicycle with The Aurora Beacon News and head out to make deliveries, learning valuable lessons about digital content marketing that just starting to sink in lately. Here are a few of these lessons, which I’m sure you will pick up a lot faster than I did! Site loading speed. A big consideration, one that is so important that Google now uses loading speed as a ranking factor. If I showed up at a subscriber’s house an hour late … I’d get yelled at. 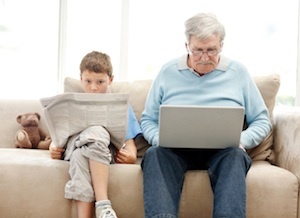 Today, if readers have to wait five seconds for a page to load, they will click off. On-page usability factors. Facilitating easy content consumption means adhering to best practices for typography, navigation, page layout and design. Tripping up in any one of these areas invites readers to make a hasty exit and leave with a bad taste in their mouths. Multiple delivery options. In the past, there weren’t many ways to deliver news. Today, content marketers must support readers who find content via RSS, email subscriptions, bookmarking sites, social media, and organic search. This necessitates optimizing content for search and social sharing, and engaging with multiple communities on multiple social networks. Theming. Is the big-picture, underlying message consistent, or does it change from one day to the next? Inconsistencies dilute brand identity and put obstacles in front of prospects that are trying to figure out what a company does and why they should care. Publishing. Are blog posts and e-newsletters delivered on a consistent, predictable schedule, or haphazardly? Digital marketers can learn a LOT from the newspaper industry on this score: when people know when to expect information, they have a greater appetite for it. Social Sharing. Because people are habitual, they hang out on Facebook, Twitter and other networks at fairly regular times throughout the day. By testing and analyzing re-shares and mentions, content marketers can develop intelligent timetables for both scheduled posting and active engagement. Brad Shorr is Director of Content & Social Media for Straight North, a search engine marketing firm in Chicago. They work with middle market B2Bs in industries as diverse as restaurant merchant processing and bulk gloves. Brad is an experienced content strategist, SEO copywriter and blogger. He still rides a bicycle. You are currently browsing the The Effective Marketer blog archives for May, 2012.